Restaurant owners can receive online orders through our fabulous order receiving customs. As the restaurant owners you can receive online orders through mobile application. Wherever you will be you will know about what leaves your kitchen. As you get the order the customers gets the affirmation for the same. You can acknowledge or dismiss an order. Start taking online orders directly from your website without exchanging off returns. 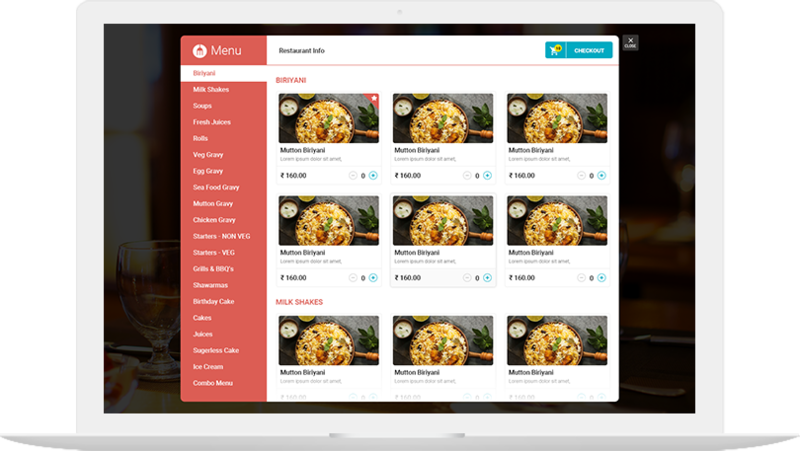 Web App online ordering system is simple to use by both you and your customers, and has zero costs. We turn your web traffic into loyal customers, & make sure that when someone finds you, they can conveniently order. As the restaurant owners you can receive online orders through SMS. Order Confirmation and notification process are made simple through Short messaging service. Helps to create alerts, appointment reminders and more. You can also accept or reject an order. 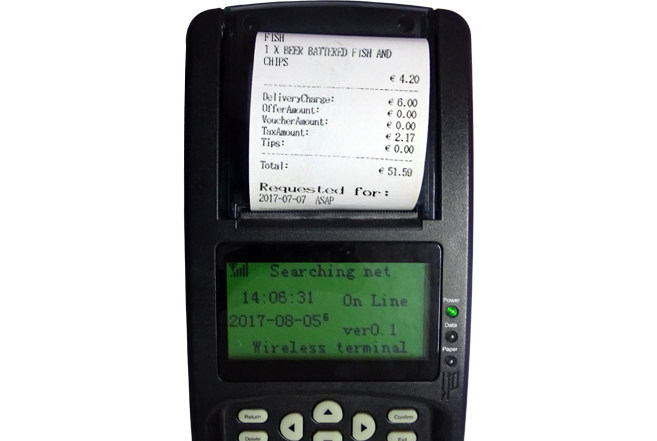 Once an order is placed, restaurant owners can print the bill with GPRS printer through invoice management. Once restaurant receives the order, the printer starts beeping announcing the order. Then the restaurant can confirm or reject the order directly by pressing a button. Allow your customers to book directly from social media such as your Facebook page. 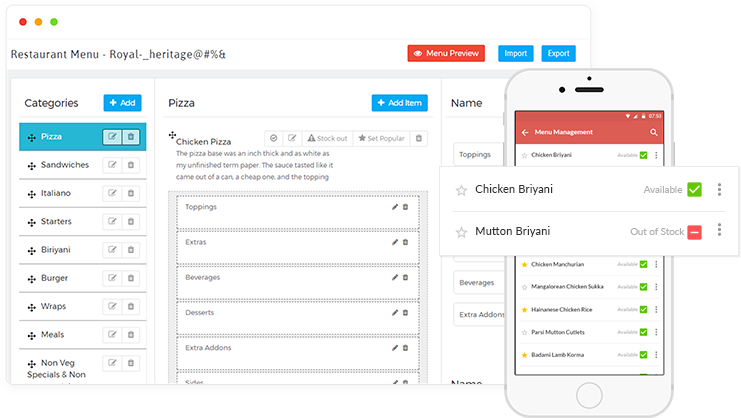 Add an array of food and drink items – customise your menu items with options and arrange them into intuitive categories. 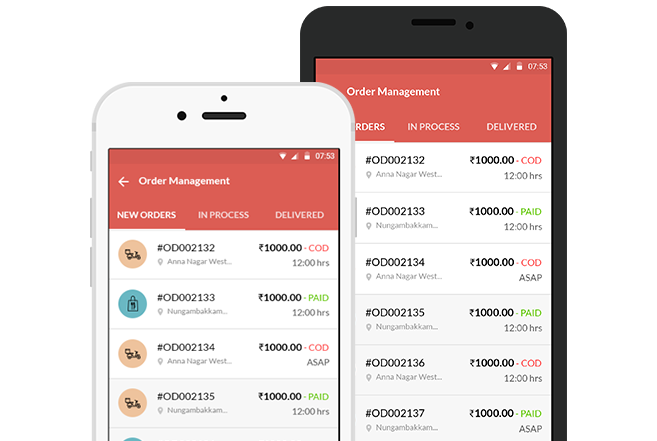 Try not to lose money delivering small orders, define minimum order totals and customise any delivery charges by easily setting up delivery zones. Run powerful promotions that deliver consistent business throughout the slower of months or during special holidays with discount system. Turn those likes into orders. 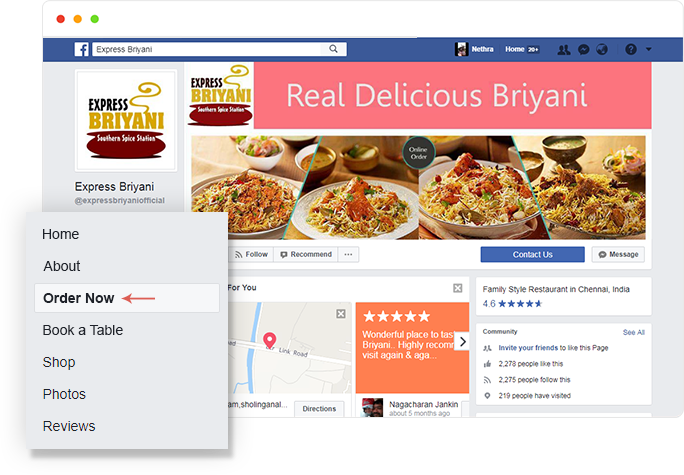 Post lip-smacking photos of the latest dishes and allow your followers order directly from Facebook. 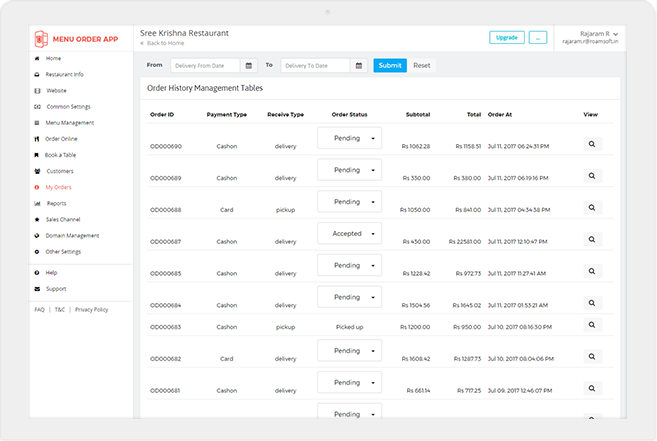 Order history along with tracking makes your business seem dependable and solid. Monitor which orders have been picked up or delivered. Restaurant owners can set multiple taxes for the customers depending on the location and the delivery services they provide. Fill few details, and we'll be in touch.